or #6 Train to Hunts Point Ave. Subway: #2 & 5 Trains to West Farms Sq./E. Tremont Ave.
BRONX RIVER SOUNDS: From Africa to the Boogie Down! highlights renowned and emerging performing artists, whose work transverses a broad geography yet highlights the artistic traditions of Africa in the New World. This year's theme, From Africa to the Boogie Down, presents an evening of underground hip-hop and jazz by deft lyricist and vocalist Kalae All Day on June 4th at 8pm; an inspiring performance of traditional African dance by Independent Artists on June 19th at 4:30pm; and the series concludes on June 26th at 2pm, with a concert by the hip-hop duo Circa '95 with DJ Vinyl Richie. 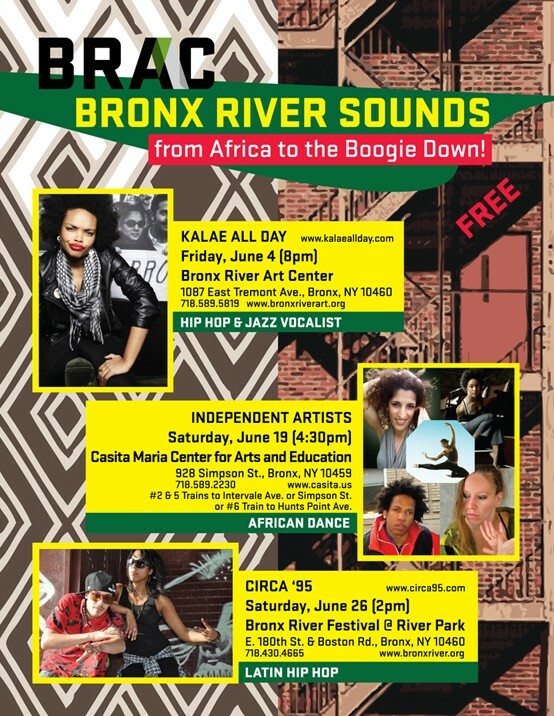 Additionally, BRAC is partnering with Casita Maria Center for Arts & Education to co-present the June 19th performance, and with the Bronx River Alliance to co-present the June 26th concert. Now in its seventh year, BRONX RIVER SOUNDS is a festival that aims to connect the spectrum of the performing arts with the rich diversity of the West Farms community and beyond. Love child of Jimi Hendrix and Lauryn Hill, emcee/singer/songwriter and self-proclaimed "vandal" Kalae All Day is a principal emerging artist in NYC underground hip-hop. The Harlem native has performed over 30 shows, opening for notable rappers Jean Grae and Talib Kweli. 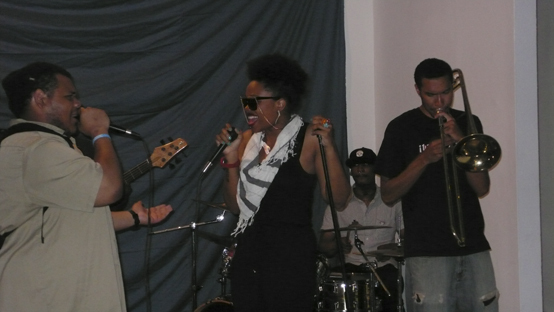 Standing at an arresting 5'10 (6' with her afro), Kalae brings the energy and presence of a vet to her stage show. Also a jazz vocalist, her songs relating love, vengeance, and emotions spellbind the listener, turning the nature of relationships into art. Kalae has released her first recorded project, executive produced by chart-topping artist Princess Superstar, entitled AFROMATIKNEOHIPPIEROCK *SOLEMUSIK. The music video for the first single, "O.G.LYRIKALBOOKBAGGER" (featuring Homeboy Sandman), has received over 80,000 hits at onsmash.com. Kalae also won Brooklyn Bodega's all-female "Show and Prove" showcase, CMJ Edition at Public Assembly, and she was named "one of the most notable female MCs in the New York circuit" by Above Ground Magazine. 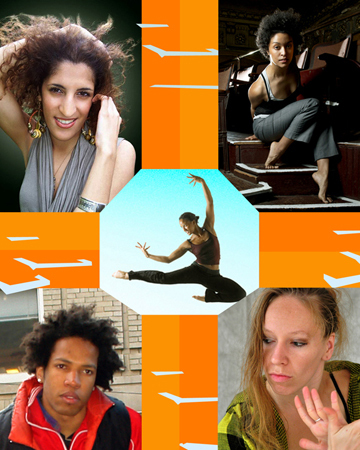 Independent Artists are a multicultural dance group whose members hail from Europe, Africa, and the Caribbean. Avid participants of modern, urban, and African dance forms, they met as members of N'zassa, a New York-based Nigerian dance company. Independent Artists' members are Jenny Efremova, Sandra Passirani, Nathalie Dispagne, Myriam Gadri, Julien Kanor, and Myriam Salmon. They have studied, interpreted, and danced on stages around the world. The members have a distinct understanding of the spiritual evolution of West African dance forms, through performance, academic study, and teaching. Whether through ritual or presentation, their global backgrounds give the audience an experience that expands beyond choreography. 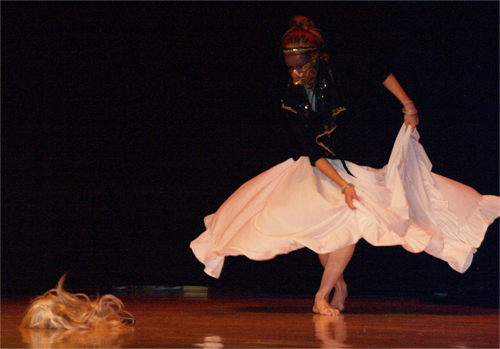 The members aspire to continue the spiritual evolution of African dance into the future. Rhyming seamlessly through English and Spanish, Circa '95 is a young, emerging underground hip-hop group. 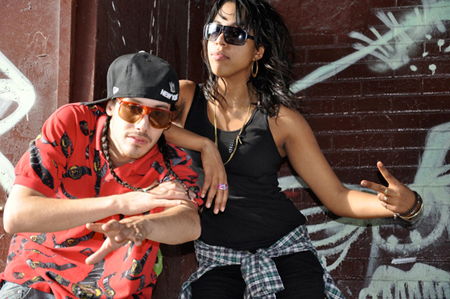 Members MC PattyDukes and MC RephStar continue the legacy of Latinos in NYC Hip-Hop culture. 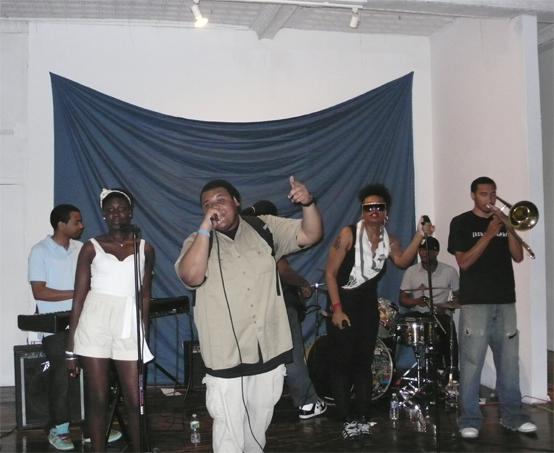 Youthful and talented, their energetic stage show attracts fans of the old-school days of hip-hop lore and opens the audience to receive the new future of hip-hop in NYC. Their single "Fresh 2 Def" evinces the best in hip-hop culture, by providing positive lyrics, fun beats, and great enthusiasm, delivered with a DIY-ethos and a poetic punch. They host The Circa '95 Show on www.circa95.com, a show celebrating the best of 90's hip-hop and beyond. They have shared the stage with KRS-One, Pitbull, NinaSky, and Mala Rodriguez. HBO Latino is currently featuring PattyDukes and RephStar in the shows RoadTrip: NYC and Habla Ya.